The complete essays, translated by Charles Cotton (1630-1687) and edited by William Hazlitt. From the Preface: "This great French writer deserves to be regarded as a classic, not only in the land of his birth, but in all countries and in all literatures. 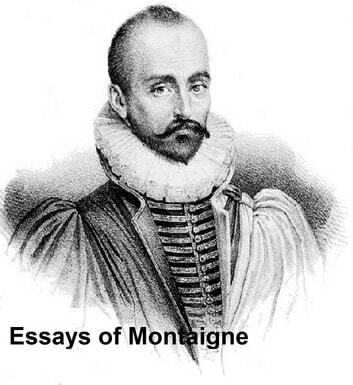 His Essays, which are at once the most celebrated and the most permanent of his productions, form a magazine out of which such minds as those of Bacon and Shakespeare did not disdain to help themselves; and, indeed, as Hallam observes, the Frenchman's literary importance largely results from the share which his mind had in influencing other minds, coeval and subsequent."